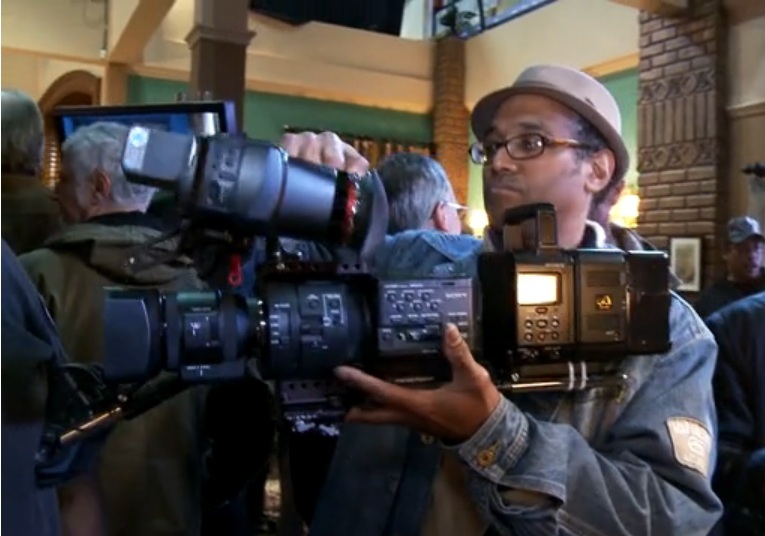 NextWaveDV – 4K on your Sony FS700 for $1295? We’ve mentioned that Sony’s path to 4K on the FS700 won’t be cheap and the only other 4K recorder currently on the market is $4000. So when a recorder is announced for $1295 that promises 4K capabilities, it catches a lot of attention. Convergent Design, makers of the popular nanoFlash and Gemini recorders, has just announced the Odyssey7. 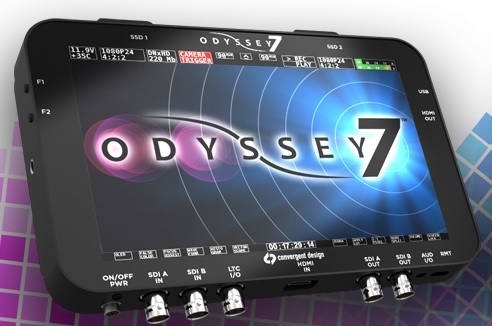 The Odyssey7 starts off as a compelling 7.7″ OLED 1280×800 high-end monitor with pro features like Waveform, Zebras, Histogram, Vectorscope, Focus Assist, False Color, Timecode Display and Audio Level Meters, and 1:1 Pixel mode. Where it jumps ahead of the rest is the inclusion a fully functional built-in recorder. All for $1295! …well not exactly. Convergent Design has gone a unique route in making a high-quality monitor with a built-in recorder that can be “unlocked”. For $1295 you get the monitor with no recorder functionality. For an extra charge you can purchase or rent a license to unlock recording options for compressed, uncompressed and various flavors of RAW. No word yet as to what the pricing will be. We expect to make some FS700 owners real happy. However you want to read that, I’ll take it to mean that the Odyssey7 will work with the FS700 as some form of 4K recorder. Not only will it be more cost effective, but by combining your monitor and recorder into one device, you’ll have a much smaller package than Sony’s version of FS700 4K. Of course NAB is just a few days away and we’ll have plenty of opportunity to hear more from Convergent Design and potentially other manufacturers jumping on the 4K bandwagon. Only time will tell. Find out more about the Odyssey7 here and in the video below. According to convergent design’s website, the fs700 support will require the 7Q ($2295) plus an unknown extra cost. Still possibly a revolutionary price point but probably st least 2x the price your article’s title suggests. Canon C300 C-Log vs. Sony F3 S-Log - Fight!